Microchipping - Delavan Lakes Veterinary Clinic, S.C.
More than half of the millions of lost pets that end up at shelters don’t have an ID tag or collar to help identify them or find their owners. The cost to handle the animals, and in many cases, to euthanize these lost pets, is nearly $1 billion a year. And then there’s the emotional cost to the families of worrying and wondering about the missing pets. The good news is that there is a way to help locate your lost pet. 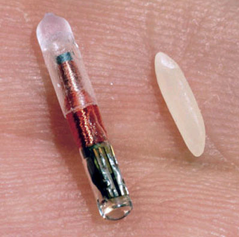 Microchips are tiny transponders, about the size of a grain of rice, that use radio frequency waves (RFID) to transmit information about your pet. They're implanted just under the skin—usually right between the shoulder blades—using a small syringe, much like a vaccination. It’s a simple, safe, and routine procedure. Each chip has a unique 10-digit ID code that, once registered, becomes part of a national database. Microchips can be read by a universal scanning device; more than 12,000 shelters and veterinarians can read the code. A call to the database can determine the name, address, and medical history of the lost pet. And just like in the case of Willow and Petunia, one call can lead to that happy homecoming story. Please consider microchipping. It’s a priceless gift for your family, and your pet. Microchips are tiny transponders, about the size of a grain of rice, that use radio frequency waves (RFID) to transmit information about your pet. They're implanted just under the skin—usually right between the shoulder blades using a small syringe, much like a vaccination. It’s a simple, safe, and routine procedure. Each microchip contains a unique registration number and the phone number of the registry for the particular brand of chip. A handheld microchip reader reads the radio frequency of the chip and displays this information. The animal shelter, humane shelter, or vet clinic that finds your pet can contact the registry to get your name and phone number. Do only dogs need to get microchips? Inside cats can easily escape from an open door or window, and just about any pet can get lost or stolen. Call and let us know what kind of pet you have, and we’ll tell you whether or not whether micro chipping is a good idea. Can a microchip get lost inside my pet? Is it safe? 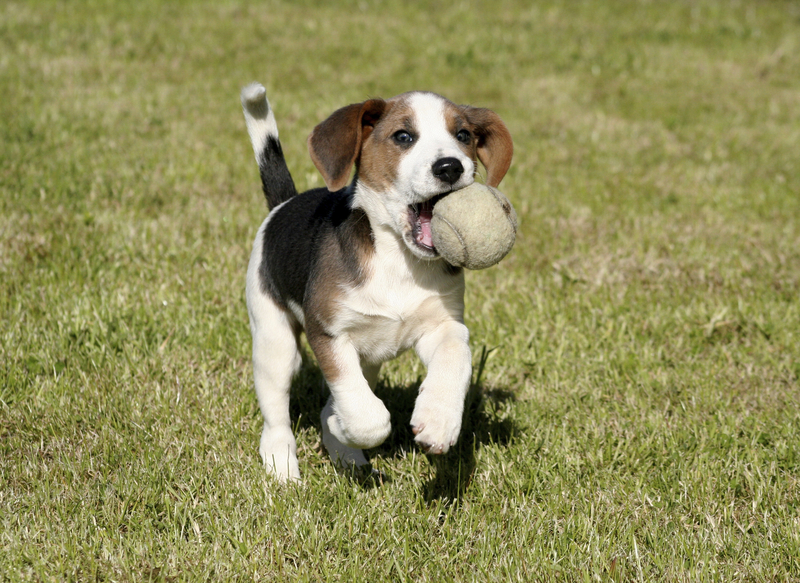 Your pet's subcutaneous tissue usually bonds to the chip within 24 hours, preventing it from moving, although there's a small chance that the chip could migrate. But it can't actually get lost inside your pet. The risks of implanted microchips are very minimal compared to the risk of your pet becoming lost. Microchips are designed to work for 25 years. Unlike an ID collar or tag, they can’t be lost or damaged. Complete the paperwork that comes with the chip and send it to the registry, or do it online if that option is available. You’ll also receive a tag for your pet’s collar with the chip number and registry phone number. Can I get my pet microchipped at the Delavan Lake Veterinary Clinic? You sure can! We love being able to help our clients guard against losing a beloved family pet. Call (262) 728-8622 to make an appointment. We use HomeAgain.com microchips, one of the leading providers in the industry. Their Pet Recovery Process has a nationwide recovery network to help mobilize local resources as soon as you notify them of your missing pet. Yes it does! Thankfully, there are so many stories of pets who were microchipped being reunited with their owners, sometimes after more than a year of being missing, and in the case of some amazing tales, up to five or even eight years later! Here’s a recent story from Bakersfield, California, written by a local columnist, Sherry Davis. Not only does this tale tug at our heartstrings, but it also highlights the importance of registering your pet’s microchip so your contact information is in the national database. Updating that information is just as important! It’s so easy to forget to update your phone, email, or address, but it can make all the difference to you, your pet, and your family. Give the gift of peace of mind this holiday season! Get all your 4-legged friends microchipped! If you’ve already done that, check your registration and update your contact information.